There are four different types of face masks, Moisturising, Brightening, Repairing and Firming. All of these face masks are $10 individually. If you buy a pack of more you are getting the masks at a discount. I am going to purchase the pack that has all 4 face masks in it so I can try all of the others out! This pack is called New You Pack, it contains all of the 4 face masks for only $32.95. I only tried out the Moistursing face mask so I would love to try the other 3 out! The face masks are all plant based and claim to hydrate the skin while leaving your skin glowing and dewy for up to a week! If you would like to know the ingredients of this mask click HERE. These masks are all sheet masks that come in 2 bits. 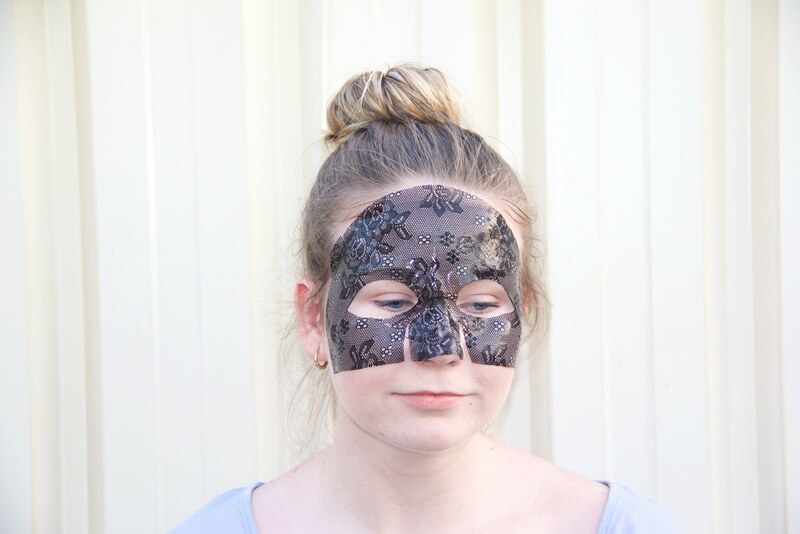 There is the mask that you place on the upper half of your face and one for the lower half. You don't have to use these at the same time. However, I believe it is more beneficial if you use them both together. I tried out the Moisturising mask. This contains a combination of aloe, vitamin E and rose extract to soothe the skin. This mask will leave your skin glowing and dewy! It really makes the face feel fresh and look fresh. These masks are sensitive enough to use on any skin type! The mask is recommended to be worn for 30 minutes while you relax! I wore mine for a bit over 30 minutes and really enjoyed it. The only down side to this face mask is how wet and slippery it is when you take it out of the packaging. This is the first sheet mask I have tried so it could be like that with every sheet mask, I don't know. You can not to much with this mask on as it will slide off if you are moving to much or completely tipping your face over. I suggest using this while you are in the bath and can just close your eyes and relax. The mask is very pretty and smells lovely. I really enjoyed using it. After you take the mask of your skin is left with a nice layer of moisture that you rub into the skin to make the most of the product. My skin was glowing after I took this mask off. It would be an amazing mask to use on a Sunday night to set your skin up for the week. I don't believe the mask does keep your skin glowing for a week. However, if you used this product on a regular basis I am sure you would see improvements in your skin! I loved getting to test this mask out and I am going to purchase the pack of 4 so I can try all of the other masks out! I highly suggest trying this brand of face masks out. Especially if you haven't used a sheet mask before as it is quite an experience.